Manchester United superstar Paul Pogba has unveiled the new ‘Cold Blooded’ Adidas boots alongside Lionel Messi. 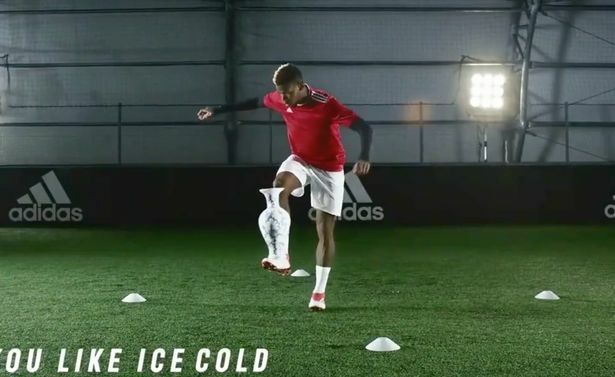 The Argentinian is joined by Barcelona team-mate Luis Suarez and The F2 Freestylers in a new commercial for the release of Adidas’ four top of the range boots. The X17, Predator, Copa 18 and Nemeziz all feature amongst Suarez’s elaborate drum kit, a piano, an American football team and a Chrysler super car.